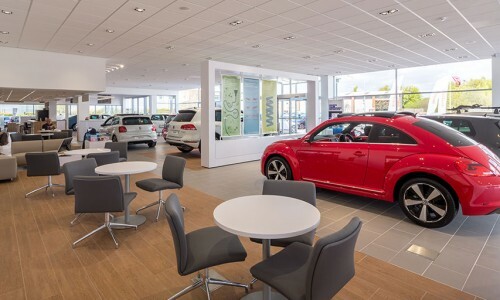 The minor works division of Hobson Porter have delivered a scheme on behalf of JCT 600 Properties involving the regeneration of a car showroom to comply with the new Volkswagen corporate specification. 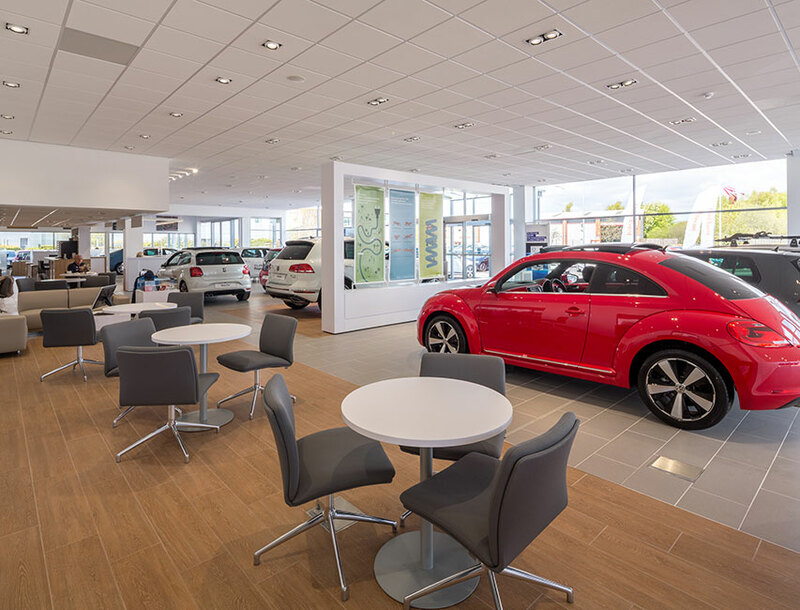 The showroom refurbishment project comprised of demolition works, new drainage installation, erection of internal steelwork to support feature walls and plastering works. 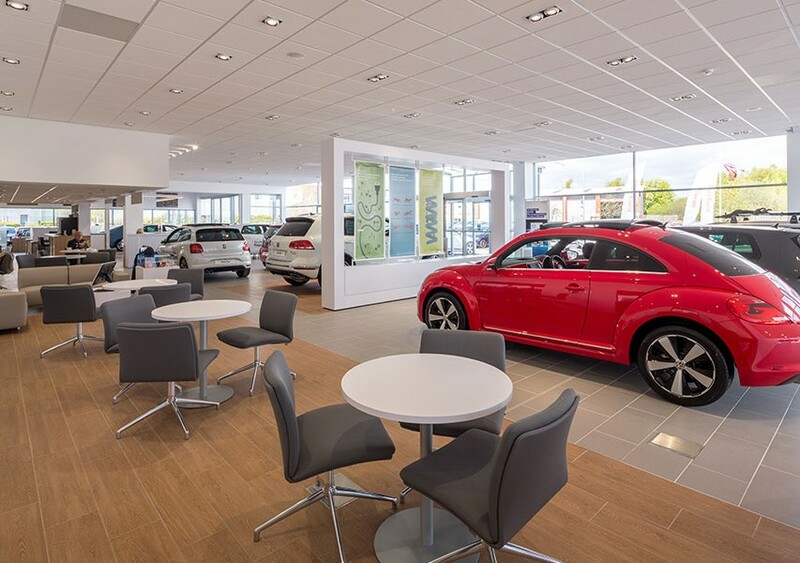 Internal decoration works and the installation of various fixtures and fittings within the showroom area were also incorporated into the project. These included painting, tiling to the floors, fitting of facilities to the washroom areas, installation of glazed screen partitions and carpeting. 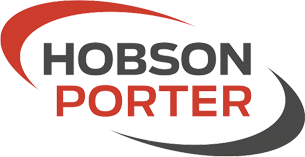 Externally, groundworks were carried out comprising of reconfiguration of the carpark and internal cladding to certain areas of the build. Throughout the scheme work was carried out to schedule resulting in a successful completion of the project on time and within budget.